CNN’s case of Trump Derangement Syndrome has become so monstrously acute the network is now hunting down and extorting those who mock it online. And if there is one thing mendacious, entitled, left-wing journalists hate, it’s being ridiculed in public. So the network, whose anti-Trump stories outdo even the Soviet echo chamber that is MSNBC, threatened to “dox” the mocker. 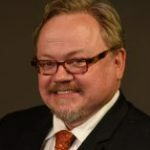 “Doxing” is putting a person’s private information such as a home address, telephone number, or Social Security Number online for the world to see. 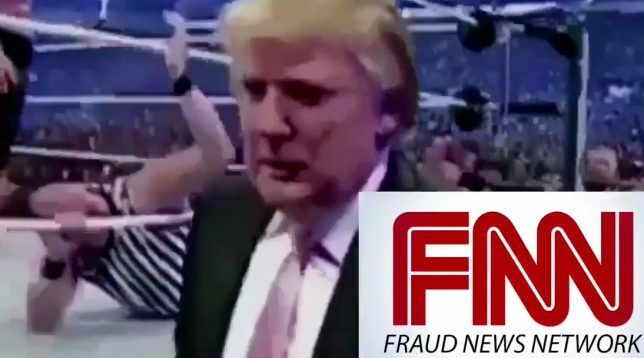 This, the latest in a long line of CNN intrigues, began Sunday when President Trump tweeted a modified 10-year-old video of his guest-star appearance at a wrestling match. What apparently earned CNN’s ire was the fact that its corporate logo was superimposed over the face of the person Trump is shown pretending to rough up. After Trump finishes with “CNN,” a graphic for a made-up “FNN: Fraud News Network” is conspicuously displayed. CNN’s KFile investigative squad, run by world-class sleaze and character assassin Andrew Kaczynski, then claimed to have found the Reddit user who created the now-wildly popular animated meme – in Internet parlance, a GIF file – showing a hands-on Trump making America great again by putting the hurt on the Atlanta-based fake news network whose singular mission at the moment is to take down the nation’s democratically-elected 45th president. CNN decided not to publish the name of the Reddit user out of concern for his safety. Any assertion that the network blackmailed or coerced him is false. The user, who is an adult male, not a 15-year-old boy, apologized and deleted his account before ever speaking with our reporter. CNN never made any deal, of any kind, with the user. In fact, CNN included its decision to withhold the user’s identity in an effort to be completely transparent that there was no deal. Sometimes CNN and Kaczynski don’t know when to stop digging. CNN’s actions are clearly grossly unethical and, as suggested above, are likely criminal. “I assume CNN’s lawyers are examining GA § 16-8-16 Theft by extortion. If CNN constructively obtained the gif-maker’s IP… it’s a GA crime if they threatened to ‘Disseminate any information tending to subject any person to hatred, contempt, or ridicule….’” he wrote. CNN’s extreme reaction to being ridiculed shouldn’t come as much of a surprise. After all, politically correct leftists have no sense of humor. Again, this shouldn’t come as a surprise to those who follow college dropout Kaczynski’s work. This isn’t Kaczynski’s first attempt at destroying a private citizen’s life. As a BuzzFeed reporter, he gained notoriety for publicizing a lame joke Tweeted by a 30-year-old PR director named Justine Sacco. As Sacco was boarding a plane from London to Cape Town, South Africa, she poked fun at many people’s poor understanding of the continent. Kaczynski decided the joke was racist and helped gin up a digital lynch mob while she was in the air for 11 hours sans internet. By the time Sacco landed, she was mobbed by reporters, was fired from her job, and had to go into hiding. Kaczynski has also taken on the role of grand plagiarism inquisitor at CNN. Needless to say, CNN is in big trouble that is entirely of its own making. “Considering all of the network’s recent journalistic embarrassments and its ratings slide into near-oblivion, perhaps CNN should be on a suicide watch,” Mark Tapson concludes.